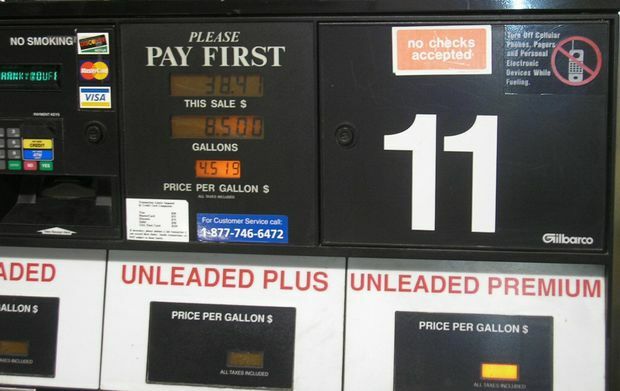 (Coppell, TX) – The statewide gas price average in Texas is $1.92 for a gallon of regular unleaded fuel, according to the AAA Texas Weekend Gas Watch. That price is five cents less than last week and five cents more per gallon than last year. Of the major metropolitan areas surveyed in the Lone Star State, drivers in El Paso are paying the most on average at $1.94 per gallon while drivers in Amarillo are paying the least at $1.79 per gallon. The national average price for a gallon of regular unleaded is $2.13 which is three cents less than last week and five cent more per gallon than last year. Drivers in the southern U.S. continue to enjoy some of the lowest prices in the nation, due to the advantageous proximity to major Gulf Coast refineries and some of the lowest state gasoline taxes in the country. Five states in the region rank in the top-ten lowest prices nationwide: Texas, Mississippi, Alabama, South Carolina and Tennessee. Gas prices on the West Coast remain the highest in the country, including the top six most expensive state averages: Hawaii, California, Washington, Alaska, Nevada, Oregon. AAA Texas projects a total of 3.9 million Texans will journey 50 miles or more from home this Thanksgiving, an increase of 160,000 travelers compared with last year. This represents a 4.3 percent increase over 2015 and the most Thanksgiving travelers since 2007. As many as 3.5 million Texans will travel by automobile. The Thanksgiving holiday travel period is defined as Wednesday, Nov. 23, to Sunday, Nov. 27.